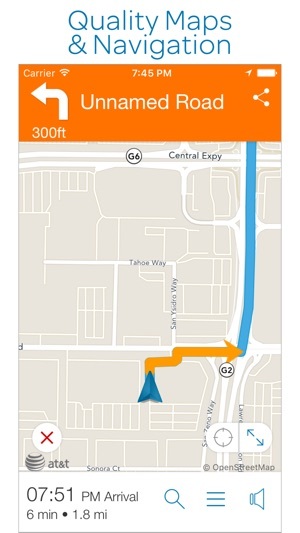 Get real time traffic, maps, offline maps, voice guided directions and more with AT&T Navigator. Continued use of GPS running in the background can dramatically decrease battery life. Beat traffic, find cheap gas price options easily,share your travel details and discover local places all with AT&T Navigator. Get traffic updates, GPS-enabled multi-route recommendations, one-touch traffic avoidance, downloadable maps for offline use and more. 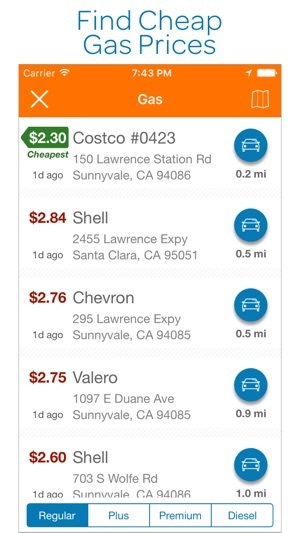 +Compare gas prices, find the cheap gas options, and get directions with the press of a button. + Find favorites using more than 142 million local reviews and ratings from Yelp® and TripAdvisor®. 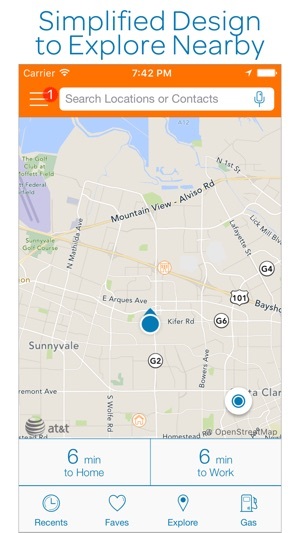 AT&T Navigator will be your trusted guide to let you explore with detailed maps and recommendations. + Contacts are integrated into the search bar. Simply type the contact name and select a contact from your address book to retrieve the address and route. + Voice navigation, compatible with blue tooth, available with paying service. AT&T suggested I switch to google maps or wayz, and remove the subscription from my account. I have used this program and paid for it annually for years. 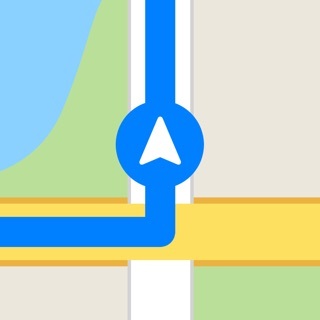 It’s the only navigation program I can use because I’m familiar with it and have developed executive function disorder following the horrific death of my beloved husband, so I need GPS just to find places I go often and find it difficult to adapt to other interfaces. I called AT&T support because very recently the text I type in the dialog box doesn’t show as black text but is “invisible.” I tried deleting it and reinstalling it, but that didn’t fix the problem. I explained why using a different program would cause me difficulties. The competing apps won’t import the “favorites” saved in AT&T nav. The suggestion to use another service is one of the worst examples of customer service imaginable. I spend close to $400 monthly for AT&T services for me and my kids, but may have to choose a different carrier after using AT&T for well over 7 years. 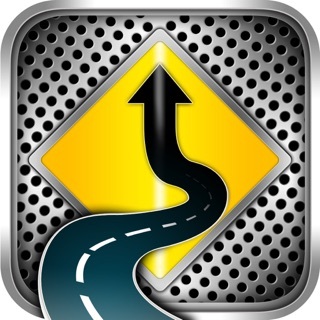 I use this app all the time for directions and to find places near me when I'm out of town... 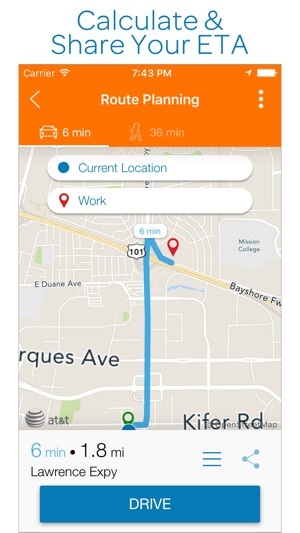 While google maps is free it doesn't give you the features of Att navigator. It's not perfect because sometimes it sends me through unnecessary routes but found out also need to make sure the settings to where you going and how you want to get there is to you're specks. Such as tolls or no tolls route and fastest as opposed to shortest route. I love that it stores your previous trips in case you travel that direction again. When AT&T updated this app, last year, the address window suddenly went blank when you type in an address you want to navigate to. In over a YEAR now, AT&T has done nothing to fix this glitch. Obviously I’m not the first person to complain about this. Yet, not ONE update from AT&T to correct this glitch. One has to ask. Does AT&T even CARE???? How about it AT&T?? Do you care? Will you fix this glitch? Will you respond to this posting? Perhaps I should call one of my colleagues who does class action law suits and ask them to look into this?